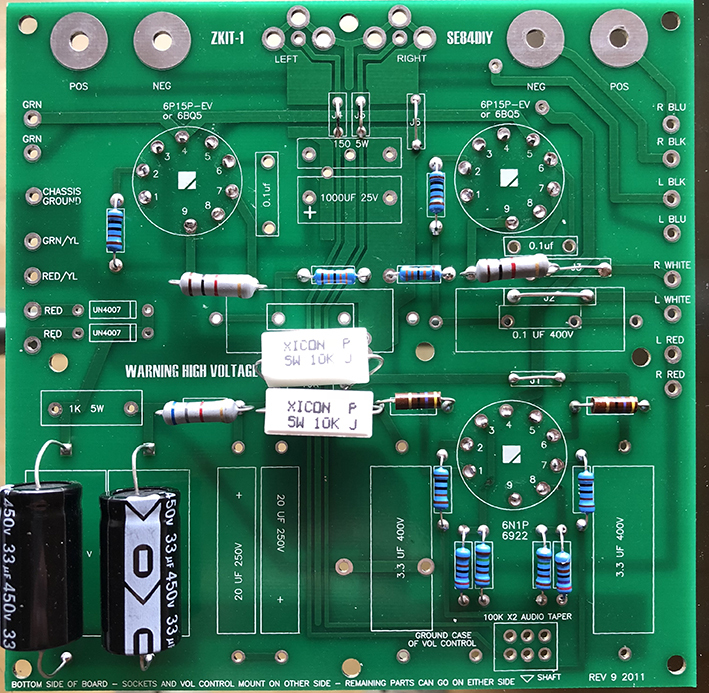 Hello all, im starting, finally, my zkit1, i bought it some years ago, my board say rev 9 2011, i was looking at pics of 13stoploss on another topic, "weird voltages" and the difference i can see are 2 more resistors and the solder points of transformers little different. My question is: do i have to change in someway my board for put the 2 resistors i havent or can i leave as it is? i dont know yet if ill buy another board and bridge the 2 amp. help pls, what have i to do? I would build the amplifier with the values printed on the board. 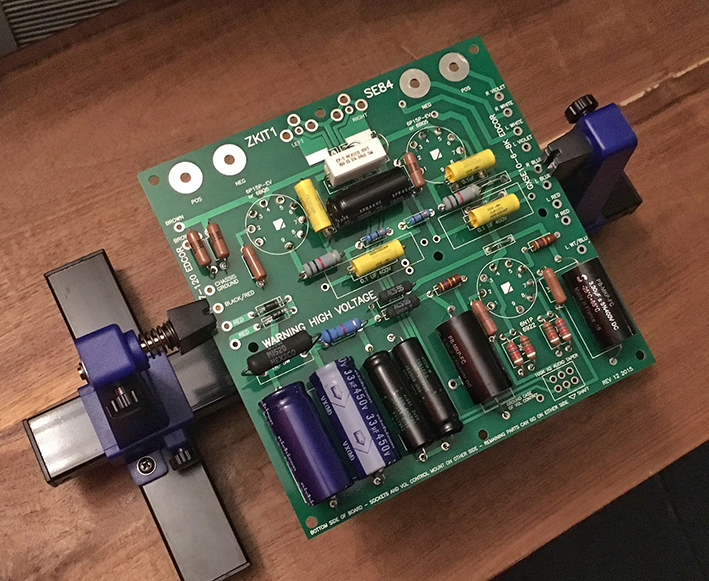 As far as I know there haven't been issues with the boards, just some revisions and if you follow the values on the board you should get a working amp. That being said, if you increase the voltage rating on the 1000uF capacitor from 25V to 35V it doesn't make the circuit any different, it just means the cap is a bit tougher with regards to voltage. I would use a 35V rated cap in that situation.